Umoja (unity) — With God’s help, I will strive for and maintain unity in the family community, nation and race. 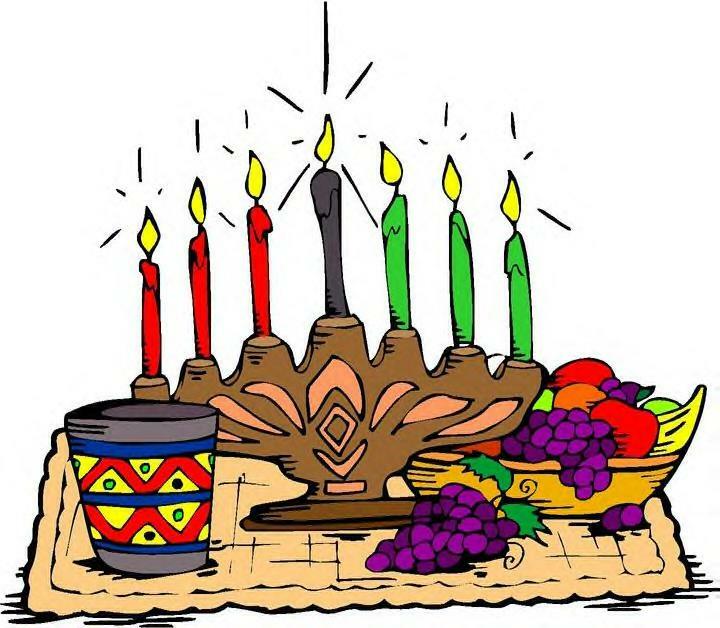 Umoja is the first principle of Kwanzaa,and represented by the black candle (black for the people) and attempts to address the impossible. Generally, when we think of unity, or that which is united, we, as modern-day Black America, hearken back to the days of the modern Civil Rights era when the assumption was that the black community was all on one page. While I’m not a historian (although sometimes when I think back to my Fisk education and getting to listen to John Hope Franklin in person I think I would have made a decent historian), I believe history would paint a picture that freedom and liberation for blacks was interpreted in many different facets. With America’s first black intellectual and fellow alumnus W.E.B. DuBois, one could clearly see that freedom and liberation was the job of the “talented tenth” reaching back and helping their fellow black American. Then Marcus Garvey came around and suggested a “back to Africa” movement; then by the sixties one had a non-violent movement personified by Martin Luther King, an “any means necessary” thought process with Malcolm X and perhaps a borderline anarchist “we-are-armed-so-deal-with-it” approach by certain facets of the Black Power movement. And then you had large segments of the black community that were highly apathetic about the whole situation, and others that felt that when liberation happens is the right time, but in the meantime, black folks just needed to wait and be patient. What I will say is that while the argument could definitely be said that the national black community has never been on the same page, uniform oppression of simply not being able to vote and the universal denial of certain civil and human rights was uniform. For example, the black doctor and lawyer couldn’t vote just like the black sharecropper in 1948 Montgomery, Alabama. But see now, while the black lawyer and doctor and factory worker can vote and operate with full civil rights in 2009 Montgomery, both may face different types of racism–but, nonetheless racism. Whereas previously blacks in America could visibly see the blatant face of racism in the beating down of protesters on the Edmund Pettus bridge in Selma, Alabama or see protesters have fire hoses and police dogs sicced on them, we are not a generation that has encountered racism, let alone Jim Crow. Al Sharpton quipped at Rosa Parks’ funeral in 2004 that we are no longer face Jim Crow, but rather his grandson James Crow, Esq. We now face the invisible phantom of institutional racism. This institutional racism that survives in tandem with this mythical notion of a post-racial society. It results in many blacks second-guessing whether or not they have just been victimized by either racism, bigotry or simply prejudicial thinking. Ultimately, it attacks our individual psyche which I will go so far to say, it results in us being even more dis-unified than ever before. While the doctor and lawyer are alleging that racism can be recognized as a, b and c, the factory worker or city works employee categorizes racism as j, k and l, yet and still our sisters and brothers who live in impoverished neighborhoods recognize racism as x, y and z. What I am suggesting that by in large, we as a people need to fully recognise our non-monolithic existences. We as blacks have never been on the same page, and the myth is that we once were. We were, however, aware that something needed to be done about our then current situation. And the same is true now. How many black pundits do we hear on various news outlets discussing the situation in Black America from Marc Lamont Hill to Melissa Harris Lacewell to our tried and true in the form of Jesse Jackson and Al Sharpton. What I’ve noticed as I’ve gotten older and attempted to discover my own worldview, is that I’m convinced we are diagnosing the proper problem. I’ve heard countless black people from radio talk show callers to their hosts and to the black pundits and to black preachers and pastors speak about various ills with such certitude, that it seems as though they and they alone hold the problem and the answer to the collective woes of the black community. To which I laugh heartily at the notion of such. Granted, I have my opinion to address some of the issues within the black community, I don’t speak as though I have the panacea. I personally believe that we as a black community need to do a better job of influencing the consciousness of our younger generations. I don’t know what that looks like, but I am of the mindset of “what you think, so shall you be.” I say this because as long as we’re addressing the symptoms, we’re doing nothing more than hyping ourselves up on metaphorical cold medication which in the process leaves us with clouded judgement and drowsy, but cognitive dissonance allows us to think that everything is okay because we took medication, but we addressed the symptoms and not the virus which was really the source of our maladies. Personally, I’m calling for a unification of us to fully address the problems and perhaps even the various pathologies within our black community and communities. At one point I was of the opinion that we had talked enough and that it was time for action, but as I got older I realised that while we have done a lot of talking (and I do believe talking is doing in many instances) it was indeed empty rhetoric–we give soundbytes and speeches that are so surface that it never compels us as a community nor even as individuals to change our thought processes or even to change our actions. What results is the same thoughts and same actions that produce the same results. If we can be united in trying to have a different outcome than what we’ve been getting, then perhaps we may go somewhere. I am convinced that not enough of us are thinking radically. We’re thinking the same thoughts and dressing them up and telling ourselves it’s something new. If we were indeed “doing a new thing” would we not have different results? Either what we’re thinking isn’t working or what we’re placing our trust and faith in is faulty. I don’t have some clarion call for unity, I really think perhaps that’s part of the problem. Of course Karenga when he created the mantra understood “unity in the family, community, nation and race” as something that didn’t have a Sarah Palin, Paris Hilton, Kanye West or even a Barack Obama in the national collective consciousness, so I’d go so far as to say, such a mantra may need to be recognized as a bit antiquated. Nevertheless, I think that we need to be working toward adequately addressing the issues in our community a bit more pointedly rather than throwing some flowery rhetoric and useless religion at the problem. What are your thoughts about intra-racial unity in our various communities and even for the macrocosmic community? Do you think unity can be achieved, or should be achieved? Although complete unity will never be achieved in this lifetime, it can be pursued. As a Christian, I’m under the belief that 100% unity will not happen until Jesus Christ’s 2nd return. Meanwhile, our objective as human beings is to live as peacefully as possible with one another until that time. It appears that for you, religion isn’t the answer. I’m a firm believer that true unity begins with a right relationship with God through Jesus Christ. All the principles of living are found in the Bible and if we humans would simply follow the two greatest commandments in the Bible, to love God first and fellow man second (Matt. 22:36-39), that would conquer most of our societal ills. All ethnic groups would get along regardless of the color of our skins if we truly followed God. Even the difference in cultures wouldn’t supersede how we treat one another as a very creative God made us all to be different. I agree with the concept of unity in Imani, but instead of unity within the Black race only, we should strive for unity with everyone and it must start first with a right relationship with God. When you touch on the “stuck in 1969” mentality, you reasonate with identical feelings that I and many other “outsiders” have arrived at, but are unable to voice. Getting labeled a “racist” for saying these things is especially nonsensical when the exact same thing could be said about too many white “protester” types, many of whom made complete fools of themselves in 2003/2004 with their clownish antics. Their tactics were a caricature of what they believed ’60s protests were like. They don’t realize that the world has passed those tactics by. They don’t work anymore. Sorry—I know that wasn’t the overall point of your post. Definitely tactically it’s often outdated, but as always, as far as I’m concerned people like Al Sharpton and Jesse Jackson have always been on message. It’s not much that they say that generally I disagree with. However, maybe not those specifically, but others who subscribe themselves to the likes of Jesse and Al who stand in the civil rights tradition, I believe often have some outdated tactics as to how to move forward. But you’re right—the old protest model they represent is aped by too many people who weren’t there, and ring hollow because of that. Combine that with an echo-chamber mentality, and you have stagnation. What is the “barbershop/beautyshop philosophy” but the racial and political inverse of the Limbaugh/Hannity/Savage/Beck/Malkin echo chamber?